Orlando, FL—The optimal use of new agents for the treatment of chronic lymphocytic leukemia (CLL) is still being defined, according to Andrew D. Zelenetz, MD, PhD, Medical Director, Quality Informatics, Memorial Sloan Kettering Cancer Center (MSKCC), New York City. Selecting patients for treatment and the type of initial therapy depends on the patient’s prognosis and degree of comorbidity, said Dr Zelenetz. He discussed the topic at the 2017 National Comprehensive Cancer Network annual conference. In addition to IGHV mutation, identifying its status is crucial. Identifying TP53 mutation and 17p deletion (del17p) is critical “in the management of patients with CLL,” he said. The International Prognostic Index for CLL (CLL-IPI) combines genetic mutation (IGHV or TP53) status, biochemical, and clinical parameters to discriminate 4 prognostic risk-based subgroups, including low risk (score 0-1), intermediate risk (score 2-3), high risk (score 4-6), and very high risk (score 7-10). Overall survival (OS) was significantly different among patients in these 4 risk groups at 5 years (93%, 79%, 64%, and 23%, respectively). In the final model, the presence of the TP53 mutation or del17p status is required for a patient to be considered at very high risk. “This is a robust model, and we’ve actually shown at MSKCC that this also works in the relapsed or refractory setting, but we don’t think it works quite as well,” Dr Zelenetz said. Treatment recommendations based on the CLL-IPI scores are no treatment for low-risk patients; no treatment for intermediate-risk patients unless symptomatic; treatment for high-risk patients, unless they are asymptomatic; and treatment based on an experimental protocol, or with noncytotoxic drugs if possible, for very high-risk patients. The Cumulative Illness Rating Scale (CIRS) is a method used to estimate disease burden unrelated to CLL. The CIRS score places patients in a high or low comorbidity status, “and we use that to help select first-line therapy,” said Dr Zelenetz. Fit, young patients with CLL without the del17p—defined as patients with a CIRS score of 0 to 6—can typically be treated aggressively with a 3-drug chemotherapy regimen known as FCR (fludarabine, cyclophosphamide, and rituximab [Rituxan]) as initial therapy. The advantage to this regimen over bendamustine plus rituximab (BR), however, disappears in patients aged >65 years. The FCR regimen achieved long-term disease-free survival in patients with CLL and the IGHV mutation, resulting in a 12-year progression-free survival (PFS) of 53.9%. A plateau on the PFS curve was observed in patients with the IGHV mutation, with no relapses beyond 10.4 years in 42 patients. “So there is a group of patients with CLL who are in fact curable with conventional chemo-immunotherapy,” said Dr Zelenetz. 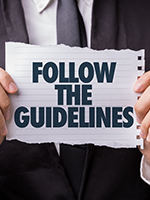 The FCR regimen remains a standard therapy in young, fit patients with CLL and IGHV mutation, he said, “and in that setting, IGHV mutation testing is now mandatory to selection” of this regimen. 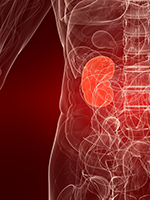 The “slow go” patient with CLL has significant comorbidities and may have impaired renal function that increases the toxicities of fludar­abine-based regimens. In these patients, the use of an anti-CD20 antibody, such as rituxi­mab, ofatumumab (Arzerra), or obinutuzumab (Gazyva), in combination with chlorambucil is an emerging treatment approach. In the CLL11 clinical trial, the obinutuzumab plus chlorambucil combination demonstrated a survival advantage over chlor­ambucil alone in patients with untreated CLL (Goede V, et al. N Engl J Med. 2014;370:1101-1110). Ofatumumab has direct complement-mediated cytotoxicity, whereas complement-mediated toxicity is “dialed out” of obinutuzumab and the antibody-dependent cellular cytotoxicity is “dialed up.” Obinutuzumab is a “clearly superior” anti-CD20 antibody to ofatumumab, said Dr Zelenetz. Another option in older patients with CLL is ibrutinib (Imbruvica) monotherapy. A complete response is difficult to achieve with ibrutinib alone, necessitating lifelong therapy, he said. Ibrutinib should be a standard of care only in patients with del17p or with TP53 mutation. Ibrutinib has been associated with improvements in PFS and OS compared with ofatumumab in the RESONATE clinical trial of patients with relapsed or refractory CLL (Byrd JC, et al. N Engl J Med. 2014;371:213-223). Bleeding and bruising are on-target adverse effects of ibrutinib, he noted, because ibrutinib acts on Tec as well as on Bruton’s tyrosine kinase to inhibit platelet aggregation. Idelalisib (Zydelig) can also be used in the relapsed or refractory setting, and it is effective in patients with CLL regardless of del17p status, del11q status, or IGHV mutation, although patients with IGHV mutation do much better in terms of PFS. Transaminitis can occur with idel­alisib, usually within the first 12 weeks of therapy, and is generally reversible with dose interruption. Patients receiving idelalisib who present with pulmonary symptoms should be evaluated for pneumonitis and advised to discontinue this agent if diagnosed with pneumonitis. “If you’re going to use BR, adding a kinase inhibitor improves outcome,” said Dr Zelenetz. Adding ibrutinib to the BR regimen improved PFS compared with BR alone in the HELIOS clinical trial, with a trend toward superior OS, although the OS results were confounded by crossover to single-agent ibrutinib. Adding idelalisib to the BR regimen significantly improved PFS and OS compared with BR alone. Venetoclax (Venclexta) may provide an attractive option for patients with CLL and del17p as monotherapy or as a component of novel combinations, he said. In a phase 2 clinical trial of patients with relapsed or refractory CLL and del17p, which is an ultra high-risk population, slow-dose escalation of venetoclax to 400 mg weekly produced a 12-month estimated PFS of 72.0% and 86.7% OS, with the incidence of neutropenia and infection similar to that of first-line chemo­immunotherapy.